It is now possible to fresh install Windows 10 without losing data. It means you can update Windows 10 with up-to-date installation and that too without losing any of the currently installed data on your device. In this tutorial, we are going to walk you through the process of reinstall Windows 10 on-demand to start afresh using the built-in refresh tool. If your Windows 10 is undergoing crashing issues, running slow, or is having issues with properly installing Windows updates, you can fix these problems by reinstalling and updating Windows 10 on-demand to get it back to normal without losing any of the installed data. Windows 10 users would be familiar with the reset PC feature in the Settings app that restore device back to default factory settings. But in the past, resetting Windows 10 meant having to reinstall updates after the new setup. However, starting from the Windows 10 Creators Update, you can now use a new device refresh feature that resets Windows OS whilst keeping all current settings intact. Microsoft introduced a new clean install method back in the Windows 10 Anniversary update. But, unfortunately, that process required users to not only download extra tools from the official online sources, they also needed a manually installing latest updates after the refresh. All these are issues are going to go away with the Creators Update because Microsoft is bringing a new refresh tool accompanying the Windows Defender Security Center in place of the refresh option on the Settings app. This new tool allows users to reinstall a clean Windows 10 setup with latest updates without needing any extra software to keep current settings, apps, and files on the system. See the instructions below to learn how to install Windows 10 on-demand and update it on your device without losing data to fix performance issues. 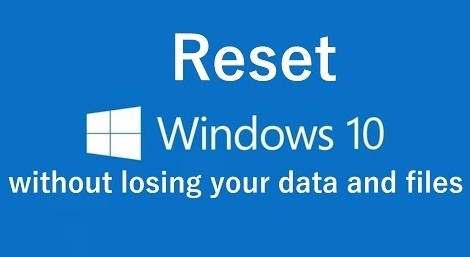 Before starting with the Windows reset process, it is important to note that it will remove any app that didn’t come pre-installed on your Windows 10 copy. Moreover, app and bloatware that were pushed by PC manufacturer onto your Windows 10 version will also get wiped out along with supporting app, antivirus and other tools. So, make sure you have installation files, product key and login details related to any such app and software on you as you will be needing them to reactivate such apps and programs after the process below. Also note that there is a chance that your digitally purchases licences and content could get erased in the process. So, backup such files. 1 – Open Windows Defender Security Center. 2 – Click on Device performance & health. 3 – Under Fresh Start, click the Additional Info link to access the feature. 4 – Now, click the Get started button. 5 – Next, hit Yes on the User Account Control prompt and click Next button. 6 – This will show a prompted listing the apps that will be removed during the process. See them and hit the Next button. 7 – On the Warning box, hit the Next button. 8 – Click Start button to begin the refresh process and complete the task. 9 – Wait for the refresh process to erase PC and fresh install most recent Windows 10 with new updates. Do note that your device needs to be on Windows 10 Creators Update to be able to use this Windows refresh without losing data feature. If you are not a registered member of Windows 10 Insider Program, you will have to wait until the release of the public release of Windows 10 Creators Update in April to get this feature. Get in touch via comments section below for further assistance or to ask any question regarding this method.